The UN rights chief called Monday for the creation of a new "mechanism" tasked with preparing criminal indictments over atrocities committed in Myanmar, amid allegations of genocide against the Rohingya minority. 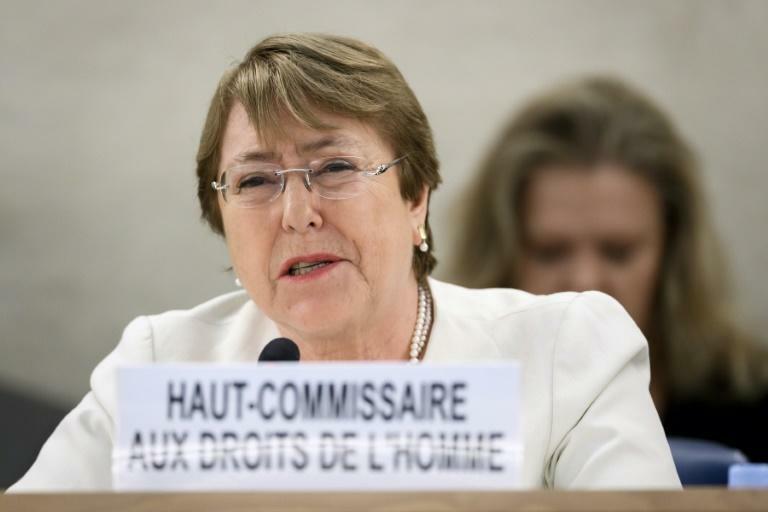 In her first speech as head of the UN rights office, Michelle Bachelet called on the UN Human Rights Council to create "an independent international mechanism for Myanmar, to collect, consolidate, preserve and analyse evidence of the most serious international crimes, in order to expedite fair and independent trials in national and international courts." "I urge the Council to pass a resolution, and refer the matter to the General Assembly for its endorsement, so that such a mechanism can be established," she said. A UN Fact-finding Mission last month issued a damning report concluding there was enough evidence to prosecute Myanmar's army chief and five other top military commanders for crimes against humanity and genocide against the Rohingya. The fact-finding mission is asking the UN rights council, which opened Monday and will be in session through September 28, to renew its mandate for another year. Bachelet, a former Chilean president, stressed Monday that the panel would also "complement and support the preliminary examination of the ICC Prosecutor." The International Criminal Court announced last week that it had jurisdiction to probe the crisis because of the cross-border nature of the alleged "deportations" of the Rohingya to Bangladesh -- a decision Myanmar's government has "resolutely" rejected. Bachelet welcomed the ICC decision, describing it as "an immensely important step towards ending impunity and addressing the enormous suffering of the Rohingya people. "I emphasise the imperative of justice for Myanmar," she said.